Wise as an owl always with a finger on the industry pulse. With more than 16 years’ experience in the recruitment sector, Tom Atkinson is quite simply a recruitment guru! 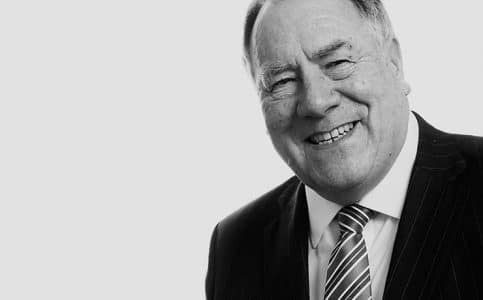 It was in 1997 that Tom brought his 'Third Party Supplier Management' skills to the recruitment industry from the motor industry (where he was made a Fellow of the Institute of the Motor Industry). Tom re-shaped and re-branded a back-office funding product called Cash Friday, building it up to be the market leader, which was eventually sold to Lloyds TSB. With what was a totally unique service (now copied with varying degrees of success by others) Tom helped literally hundreds of fledgling agencies in the highly competitive recruitment industry. After founding Cash Simply in 2004, Tom became the Chairman of re-branded Simplicity in 2011. Tom also chairs the Forest Inspiration programme, a voluntary network of Forest of Dean business leaders who support the local community to find employment and enjoys amateur dramatics and music in his spare time.